BUYING OR SELLING YOUR HOME…Have Your Chimney Inspected! Thinking of Buying or Selling Your Home? Have Your Chimney Inspected! Signs of Spring at Last!! 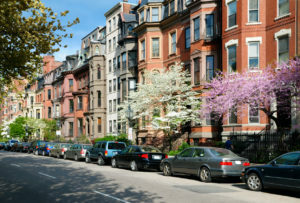 There is always a spring real estate market and if you are getting ready to buy or sell, we are encouraging you to include a chimney inspection as part of your plan. Whether you are buying or selling a home, many homeowners falsely believe that a home inspection will find any chimney related issues. However, while home inspectors may be able to spot problems in other parts of a home, most are not qualified to conduct a thorough chimney inspection. For this reason, it is important to have your chimney inspected by a certified chimney sweep before selling or buying a home. By having the chimney inspected before a home is bought or sold, both buyers and sellers can have peace of mind that the fireplace and chimney are safe and ready for use. Home buyers need to make sure their new home is safe and sound for themselves and their family. If the new house has a fireplace, this would include making sure the chimney is in good condition. Once a home is under contract, buyers can request an independent chimney inspection in addition to a home inspection. Even if the sellers have an inspection report from a chimney sweep, you can still ask to have another sweep do a secondary inspection. This second inspection can confirm the findings of the chimney report – or uncover issues that were not previously disclosed. Having this report can ensure that any fireplace, heating flue or other chimney issues are addressed before the sale is finalized. If you recently bought a new home but the sellers did not include findings from a chimney inspection in their disclosures, you will want to have the chimney inspected before lighting your first fire. 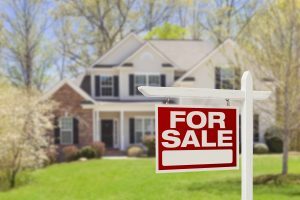 This is especially true if you bought an older home, a home that was unoccupied for a long period of time before purchase, or a home where the fireplace was rarely or infrequently used. If you are selling your home, you should consider having the chimney swept and inspected before putting it on the market. Not only does having the chimney swept and inspected give you a cleaner and more efficient fireplace system, but it can also alert you of any chimney damage that has occurred or repairs that need to be made. Finding chimney damage before you put your home on the market gives you plenty of time to make repairs, as well as, reduces the risk of any unpleasant surprises being uncovered during the buyer’s inspection. In addition to allowing you to make repairs, having a report from a certified chimney sweep can also help put buyers at ease about the condition of the chimney. Having a chimney inspection done before buying or selling a home can make sure there are no problems with the fireplace, heating flue and chimney, and give everyone involved peace of mind. 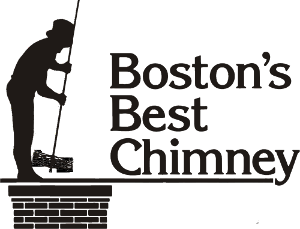 If you’re getting ready to buy or sell your home, we encourage you to contact Boston Best Chimney today to schedule your chimney inspection.